While rebuilding a transmission may sound easy, it can be difficult without the proper equipment. The transmission is completely taken apart. All components other than the housing are replaced, and the housing itself is cleaned and inspected. Repairs should be done in a regulated auto repair shop to ensure the job is done properly and safely. 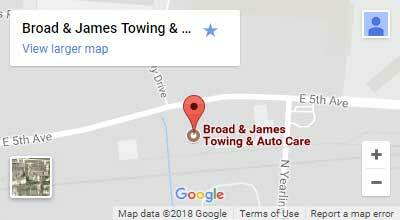 Having the work done by a qualified technician at Broad & James AutoCare & Towing is your best bet for this type of work . The amount of seals and gaskets in addition to clutches can be quite large. In order to have your rebuild be successful, proper placement of these parts is crucial. Visit our Columbus shop for qualified technicians to get the job done quickly for you.